Growing up in a family drawn to the outdoors, Rebecca has always experienced a closeness to the natural world. With the supportive encouragement of her parents, & finding a talent in art, she chose to focus her future as a painter in her mid teens. Her paintings have been featured on several conservation stamps including the the 2011 Maryland Black Bear Conservation Stamp, 2007 & 2009 Illinois Conservation Stamps, 2003 MN Wild Turkey Stamp & the Manitoba Conservation Stamp. She spends as much time as possible observing & experiencing the wildlife she paints: “It is very important that the subject painted is studied from every available angle, as well as it's habits & preferences”. 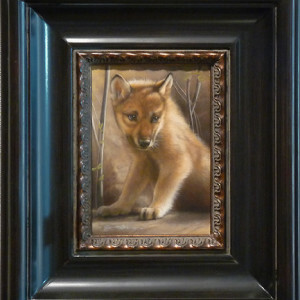 Additionally, just as Rebecca is dedicated to the preservation of wild lands and the wild creatures that depend on the existence of those places for their survival, the artist is also dedicated to the preservation of true traditional miniature painting in all it's forms, a type of art that has been practiced since early writing. Her style & technique are primarily influenced by her artist family, Karen & Bonnie. After studying many mediums & styles of painting and sculpture, she now works primarily in watercolor in a traditional Flemish style of working “in miniature”. 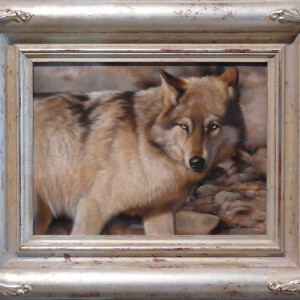 Rebecca's works range in size from 30″ x 40″ to 1″ x 1″. 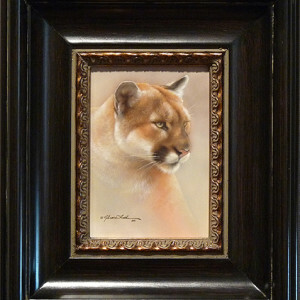 Rebecca has been associated with (MIWAS) Marwell International Wildlife Art Society (UK), (TWASI) The Wildlife Art Society International (UK), a signature member of the (SAA) Society of Animal Artists (NYC), (AFC) Artists for Conservation (Canada), (IGOR) The International Guild of Realism (Scottsdale), (AAA) Allied Artists of America (nyc), (CLWAC) Catharine Lorillard Wolfe Art Club (nyc), (AWS) American Watercolor Society (nyc), (UAN) Untamed Artists Network (AU), & the (PSOA) Portrait Society of America. 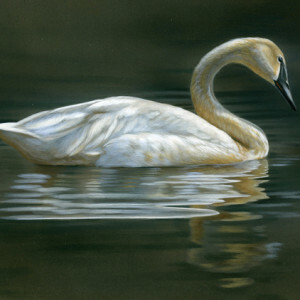 She was named “Artist of the Year” by Mn Ducks Unlimited for 2006 and artist of the 2007 & 2009 Illinois Habitat Conservation prints & stamps. 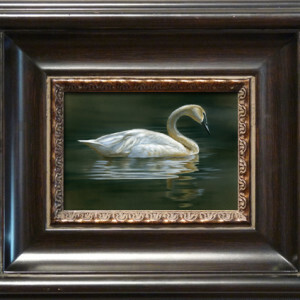 Some of the miniature art societies the artist is also involved in include the (MPSGS) Miniature Painters, Sculptors, & Gravers Society, (MASF) Miniature Art Society of Florida, (HS) Hilliard Society of Miniaturists, the British Society of Miniaturists, & the CPA Miniature Artists. Commissioned for the permanent collection of the Butler Institute of American Art, Harvard's 'Who Mentored You?' 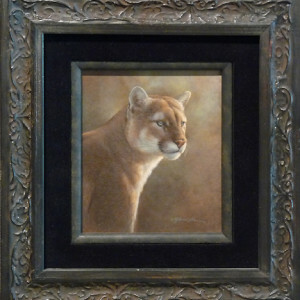 program, and others, Rebecca has also shown in some of the US and Britain’s most prestigious galleries and museums including the Smithsonian, Nature in Art (UK), Mall Galleries (London), Gilcrease, & others. She regularly earns coveted honors for her work in international exhibitions in the states and abroad.